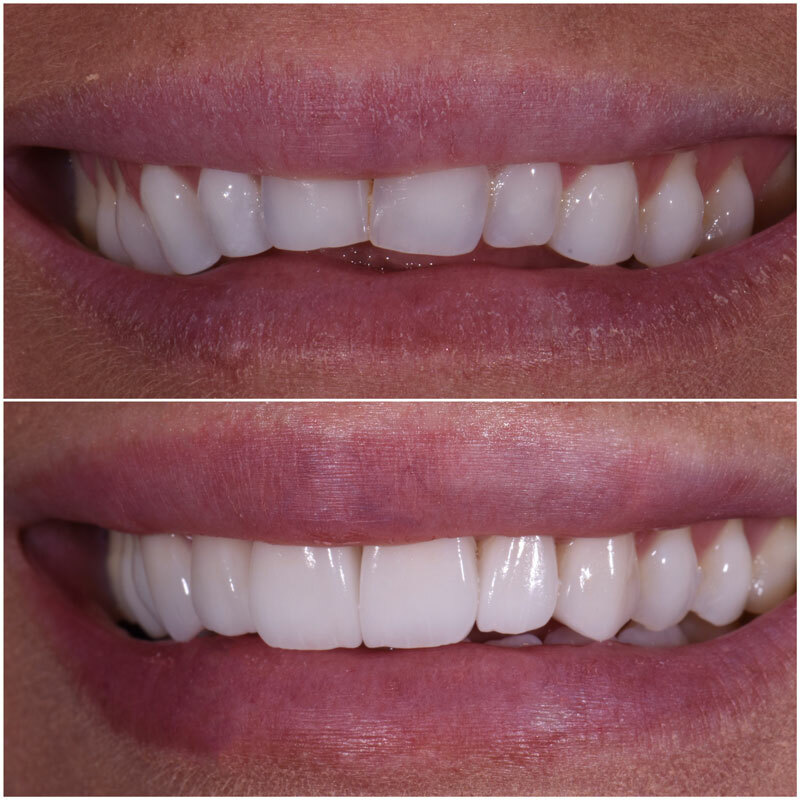 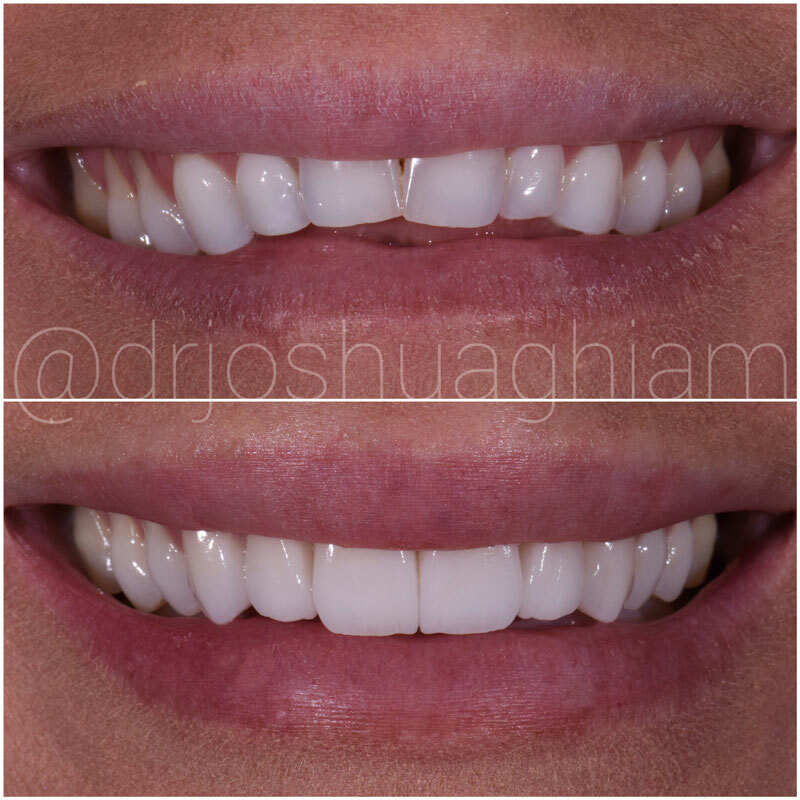 Treatment of 6 Porcelain Veneers were used in this case to close the open bite, restore lip support and correct staining present on the front teeth in addition to correcting severe wear from grinding the teeth during sleep. 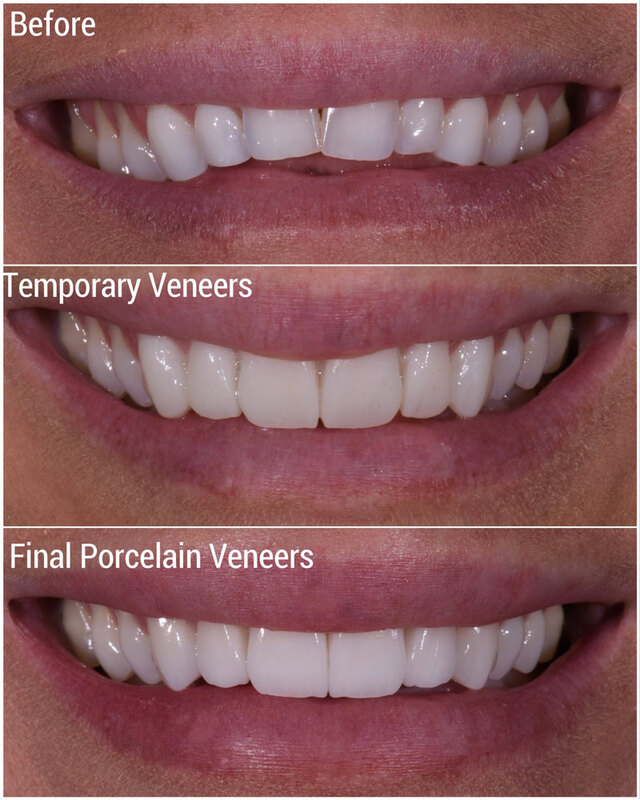 A contact lens thin layer of highly aesthetic porcelain in bonded directly to the existing tooth. 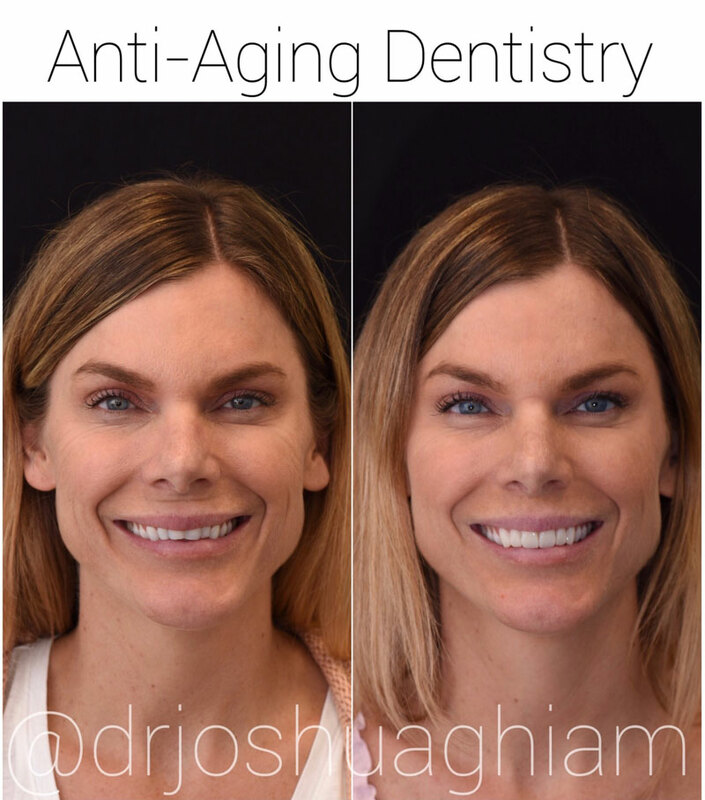 The procedure is almost always painless.